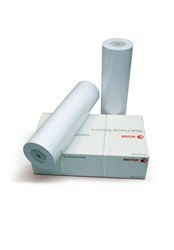 Xerox Solvent Satin Outdoor Paper is a semi-gloss, barrier-coated, general-purpose poster paper suitable for photorealistic graphics in both indoor and outdoor applications. For photorealistic graphics. Ideal for giant posters and billboards. Heavyweight, highly-opaque, semi-gloss, barrier-coated paper.